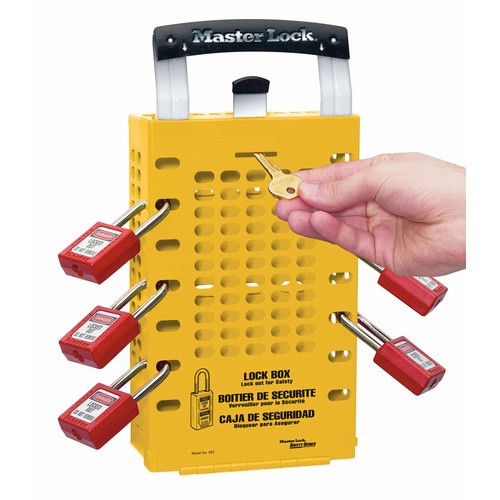 Secure each lockout point on a piece of equipment with a single padlock. 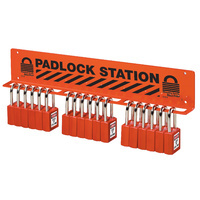 Place the keys in the group lock box and then each authorised employee places their personal padlock on the lock box. 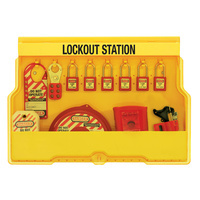 When work is complete, each employee takes their personal padlock off the lock box, freeing the keys inside. 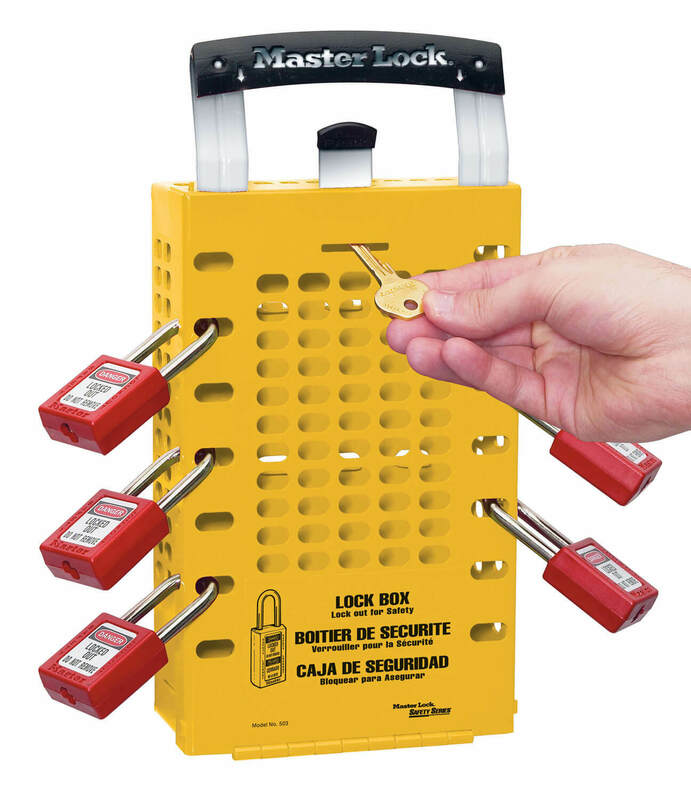 All Master Lock group lock boxes feature an exclusive, Latch Tight locking mechanism that prevents keys from being accessed until the last employee removes their padlock. 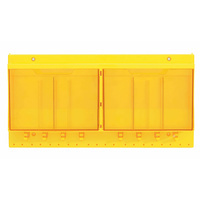 Durable powder coated finish with stainless steel handle. 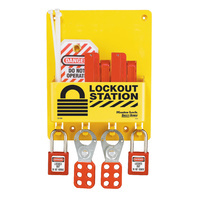 0503YLW can be mounted or carried from job to job and accept 14 padlocks or hasps.